We’ve been watching the winds for the past two weeks, waiting for some European rarities to show up. Eight European Golden Plovers and even a Hobby were spotted in late April by researchers on the RV Celtic Explorer in the middle of the North Atlantic, suggesting that birds were headed our way. Eventually, a Black-tailed Godwit was found on April 29 in the unlikely location of Deer Lake, raising suspicions that more must be out there. But then … nothing. The winds switched to the south last week, bringing in a swath of regular migrants (yay – spring! ), and pretty much dashing our hopes for European gold. 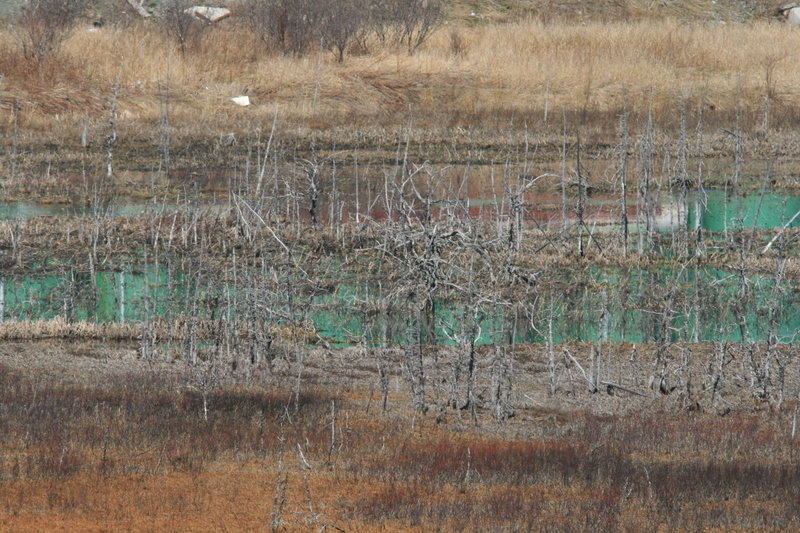 So when Bruce Mactavish sent me a text on May 7 to report a stunning drake Garganey in a marsh in east St. John’s, I was a little surprised. Had it arrived earlier on the trans-Atlantic winds, or more recently?? 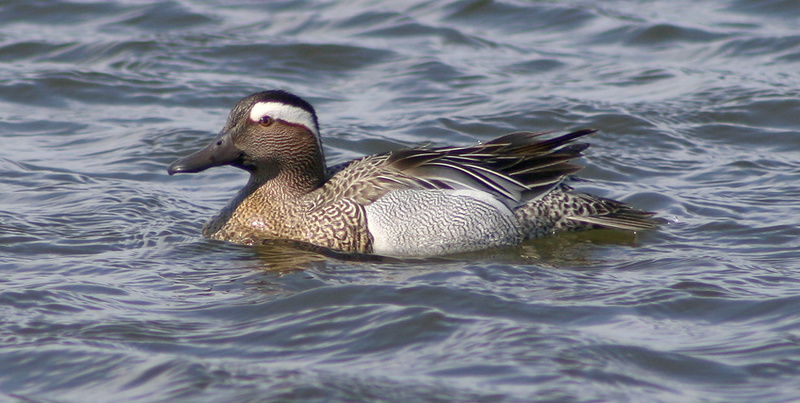 There is a pattern of Garganey showing up in May, and often when the winds would least suggest it. This one would be the fifth record for Newfoundland, all of which were spring males! Somewhere in this very distant photo is a stunning male Garganey. Honest. It took a couple hours, but I eventually snuck away from work and family obligations to go take a look. It was hiding in reeds several hundred metres from the viewing platform where I stood, at the back of a marsh surrounded by inaccessible industrial yards. When visible, looks were pretty good through a scope but much too far for photos. A few people saw it in closer parts of the marsh over the next two days and managed some record photos, but for the most part it remained a bit elusive. It has not been reported since May 9. This drake Garganey (ABA Code 4) was in St. John’s on May 15-16, 2009 … and very cooperative for at least a couple hours! A single European Golden Plover was reported from Carmanville (Gander Bay) on May 11, but otherwise there have been no reports and the usual window is closing now. Sure — a Garganey, Black-tailed Godwit and European Golden Plover is in fact a pretty decent few weeks, but it seems a tad anti-climactic. I guess last year’s show spoiled us!! 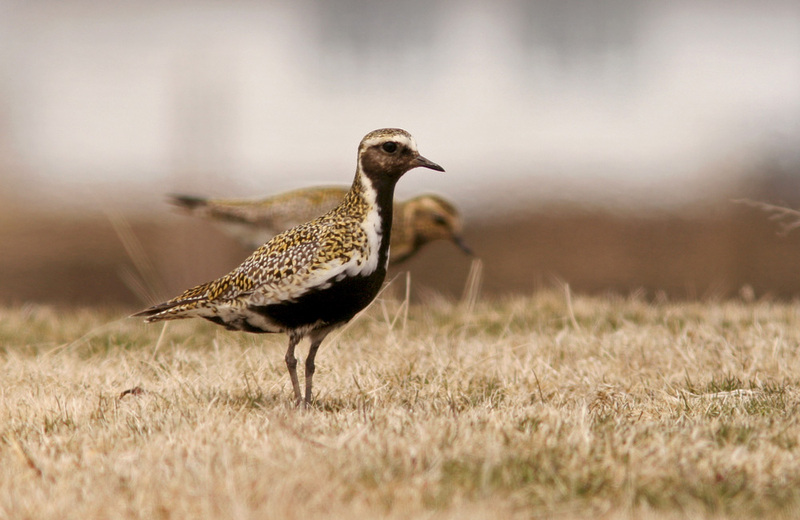 European Golden Plovers are rare but regular in Newfoundland, with at least one showing up most years. And that’s just what we got this year … one! (These individuals were photographed in 2014). This entry was posted in Newfoundland birds, Weather and tagged birds, Black-tailed Godwit, European Golden Plover, European vagrants, Garganey, Newfoundland, rare bird, Spring, St. John's. Bookmark the permalink.